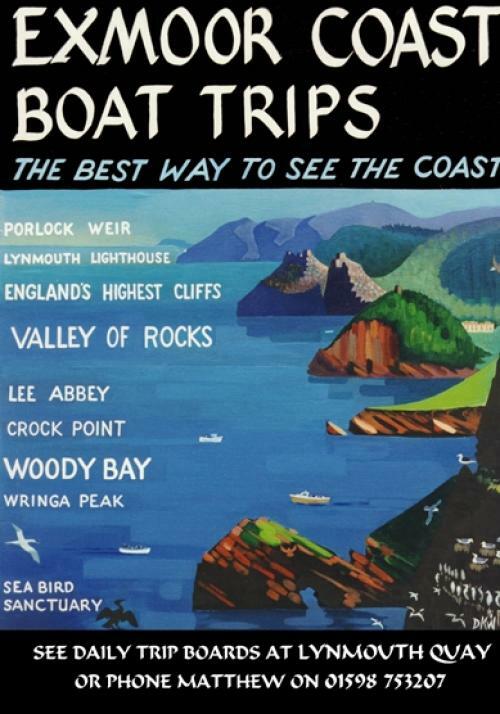 Boat Trips - Longmead House Bed and Breakfast, Lynton. Guest House in Exmoor. The dramatic Exmoor Coastline in North Devon is a haven for sea mammals, birds and fish not to mention mind blowing scenery. Whether your interest is to learn about the history of the Lynton and Lynmouth coast, look for rare nesting sea birds, go mackerel fishing in the bay or deep sea fishing for bass & pollack you will not be disappointed. Exmoor National Park host two boat trips per month from Lynmouth Harbour starting mid-April. This is a unique experience where an Exmoor National Park Ranger takes you along the steep cliffs, tiny inlets and rocky shoreline of the North Devon coast all the while providing you with enough information and history that one might consider you an expert! Plus you have the added extra of spotting a swooping razorbill or a seal basking in the sunshine. Booking is essential as these trips sell out fast. All boat trips are listed on our What's On page or alternatively, please call them direct on 01598 752509. For further Exmoor National Park events look online ENP Calendar. The Oxenham family have been Lynmouth boatmen for generations. Over the years they have built up a detailed knowledge of Exmoor's heritage coast. On the boat trips you can discover about the remains of the limestone trade and the ruined Victorian pier, hear stories of the paddle steamers and the famous Lynmouth Lifeboat or spend an afternoon mackerel fishing. 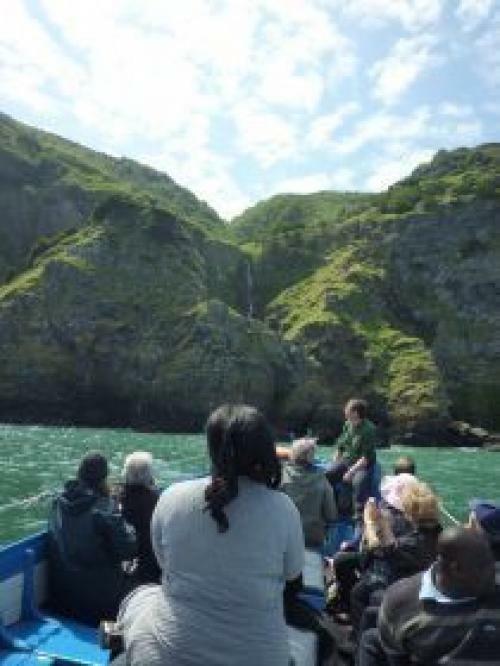 The licensed sightseeing boats sail amidst the wildlife and magnificent scenery and can get within ten metres of the seabirds that colonise the towering cliffs above the sea. For sailing times, prices & availability, enquire on Lynmouth Quay before 11am or contact Matthew direct on 01598 753207. 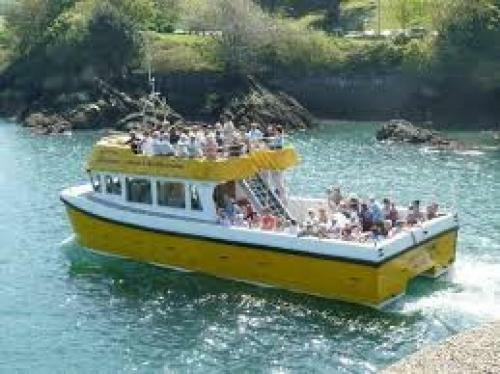 Based out of Ilfracombe Harbour, The Ilfracombe Princess has been cruising the North Devon coastline for over 40 years. The boat trips start in mid-March and finish at the end of October, often running 3 to 4 trips per day. If bird watching, spotting dolphins and taking in the North Devon coastline all the way out to Lundy excites you, then this is definitely the boat trip for you. Please contact them directly for departure times either online Ilfracombe Princess or call them on 01271 879727. If spending 1.5hrs - 8hrs on a boat fishing gets you reeling then John at Bluefin Charter is the man for you! With 40 years experience fishing along the North Devon coastline, Lundy and the Bristol Channel you will definitely remember your experience. For further information on the specific trips please visit Bluefin Charters. 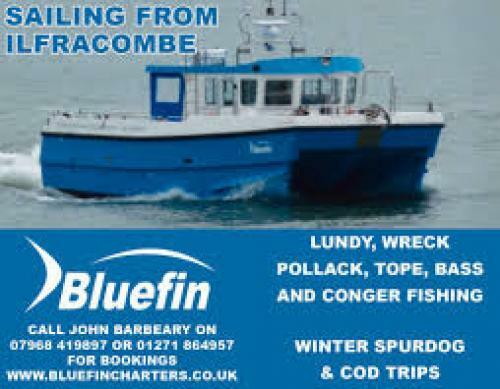 Fishing trips run all year long from Ilfracombe Harbour and can be arranged by contacting John directly on 07968 419897.